I am one of those people who has been self taught in a lot of skills I have. I want to share my top 5 choices for music production tutorials from my favorite blog pages and sites. You can also see my Top 5 Youtube Channels for music production. This is my go to site for music production for it is one of the most elaborate consolidation of information and lessons I have found. They possess countless sample packs, instrument patches, and video lessons with a membership of $20 per month. But you can try out their 7-Day Free Trial . 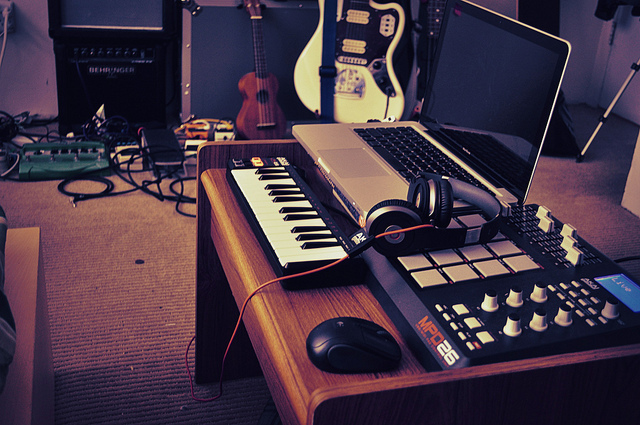 Their materials cover Ableton Live, FL Studio, NI Massive, Xfer Serum, and much more. This blog was started by a guy from New Zealand by the name of Sam Malta and it a great not just for its technical information but also with methods of creativity or solutions for writer’s block. The blog includes podcasts, techniques for general audio production, and an ebook on Workflow and Creativity available. This is another prime choice. “By musicians, DJs and producers for other musicians, DJs and producers.” and it is just that. This site too has tutorials that are free or for sale. Sign up for free at Sonic Academy. Now this is in a forum format, so you will have to do some digging. But you will find plenty of discussions and insight that may be just what you are looking for. Reddit has been a long time social media community where many have mined countless information and content out of it. Reddit has been building itself a reputation as being a great sources for music production, DJing, and electronic dance music production.